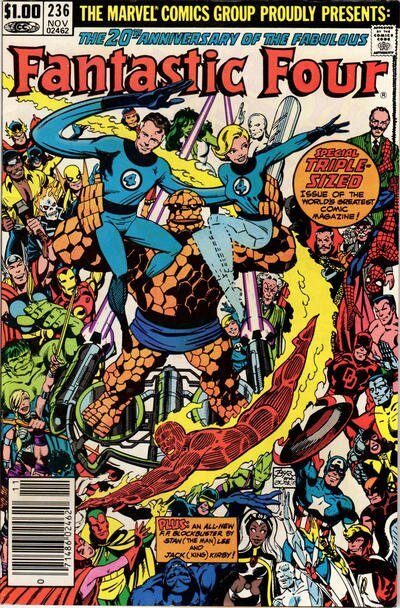 Click Here To See Fantastic Four #236 Comic Book! Check out this "FANTASTIC" BRONZE AGE 1981 FF ALL-OUT BATTLE page, which was penciled and inked by the great John Byrne, from the classic story titled: "Terror in a Tiny Town!" This awesome page features Sue Storm almost getting punched by THE THING, as large images of Mr. 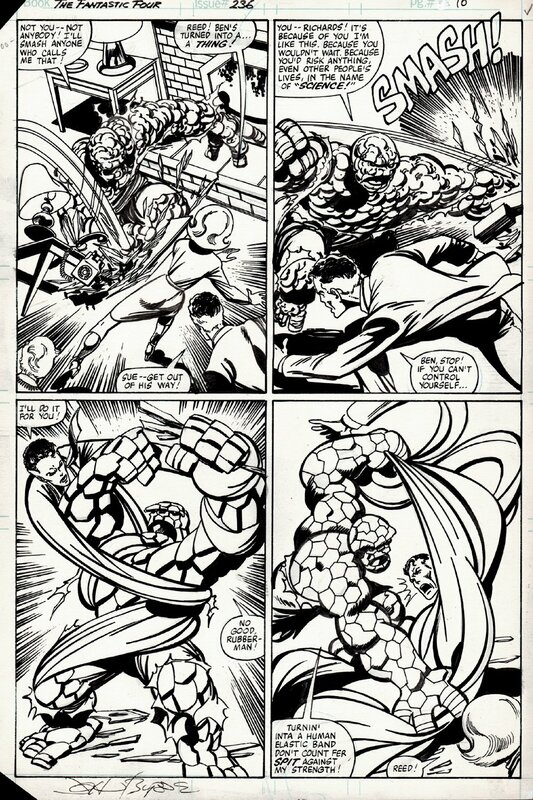 Fantastic and The THING battle in EVERY PANEL! it doesn't get much better than this page right here if you truly love KEY John Byrne FF art! ALL art on our website (including this one) are able to be purchased with VERY fair time payments, and trades are always considered towards "ANY" art on our website! Just send us an email to mikeburkey@aol.com and we can try to work something out.